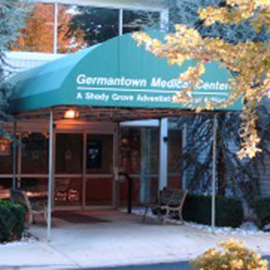 Community Radiology Associates | Germantown Imaging Center is part of a network of outpatient radiology located throughout Carroll, Frederick, Montgomery and Prince George’s counties. Located in Montgomery County Maryland, our center offers a complete range of imaging services, including, MRI/MRA, CT/CT, ultrasound, mammography, fluoroscopy, and X-Ray. For X-Ray studies, patients are welcome to walk-in, no appointment is needed! Community Radiology Associates | Germantown Imaging Center serves the communities of Germantown, Clarksburg, Montgomery Village, Gaithersburg, Olney, Rockville, Aspen Hill, and more. At Community Radiology Associates | Germantown Imaging Center, our combination of dedicated specialty physicians, friendly compassionate staff and cutting edge technology allow us to offer our patients only the very best in diagnosis, management, follow up and care. Contact us to find out more about our services and convenient appointment times.